Yesterday, I specifically went shopping for another thermometer. 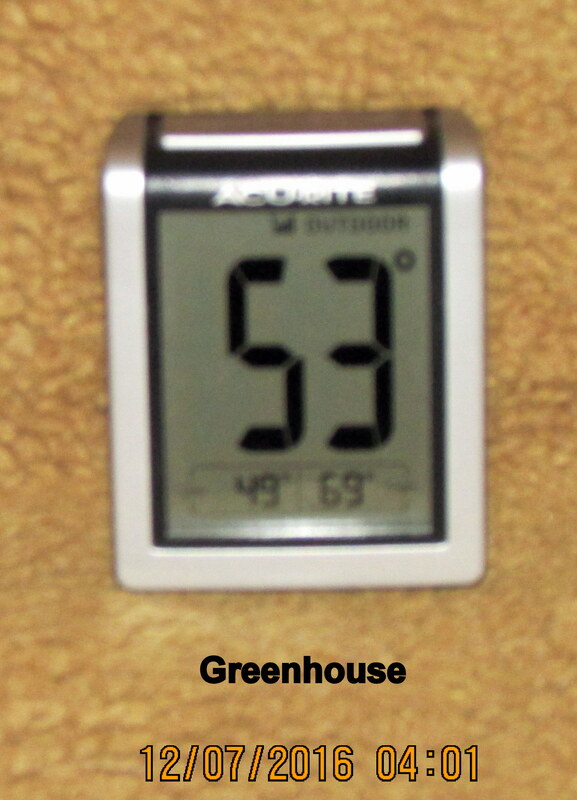 The greenhouse now has the sensor formerly in the tarp shelter. 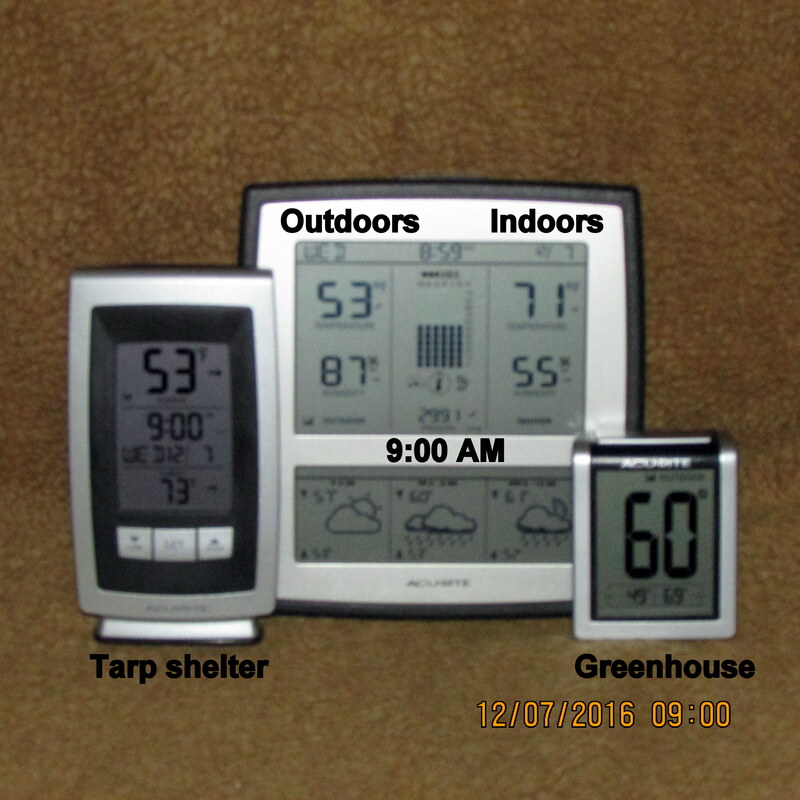 With a “cold front” moving in, I want to monitor the temperature in the tarp shelter. More than thirty plants under cover; I can’t control the weather but I can protect the plants. Note the time: Four in the morning. I was wide awake for about two hours before deciding to get up and “do something.” Sometimes my mind is spinning with thoughts–and plans–and I can’t sleep!! Technology is so awesome!! 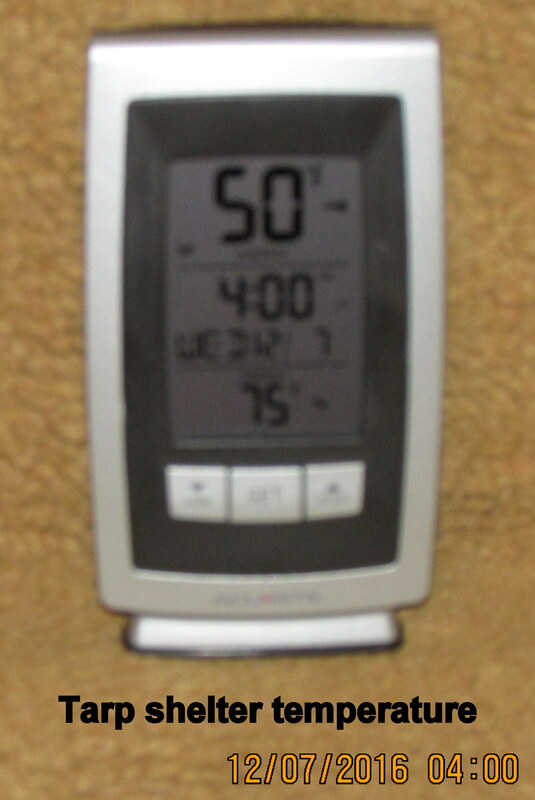 The new thermometer automatically set itself to the correct date and time–from a satellite in the sky. So many features in that little instrument!! 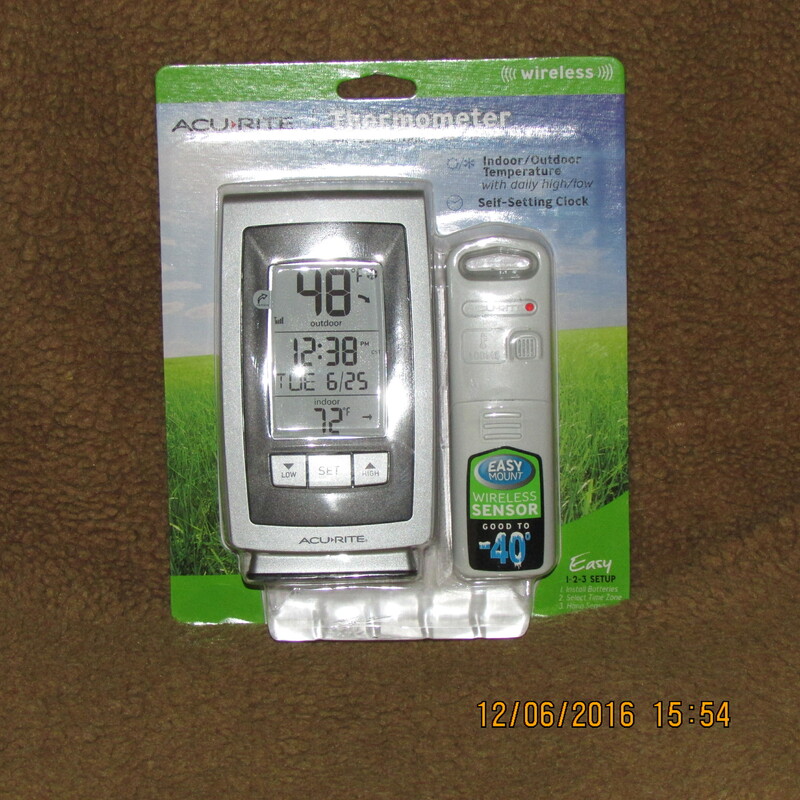 Walmart had it marked down from $17.88 to $10.00. I’d planned to buy another small single function (for $9.88) but couldn’t resist a bargain. I believe the greenhouse is “warmer” because a much smaller space and completely closed up. By contrast, the tarp shelter is very large with lots of ventilation around the sides, and large opening for a door.